Visit the Amazon website to look inside the ebook. There’s no way out! If you REALLY want to understand what Brazilians say on the Internet, streets, tv, movies… You need to learn slangs and dirty words. In addition to that, bad words allow us to express emotions that are not as easy to communicate. 4 – A big amount of sentences to boost your vocabulary! And the best of all… All the terms are known in EVERY CORNER OF BRAZIL. So, no matter where you go, you’ll understand and be understood! 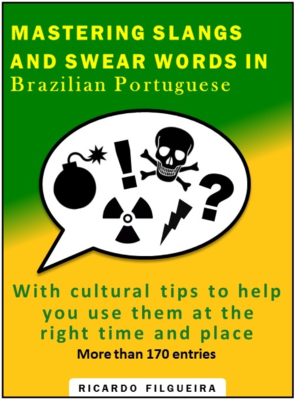 If you REALLY want to understand what Brazilians say, that’s a must read work!